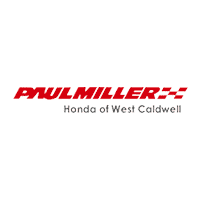 Visit Paul Miller Collision Center Today! We offer FREE ESTIMATES and work with ALL MAJOR INSURANCE COMPANIES. Paul Miller Auto Group has just completed construction and re-located to our brand-new state-of-the-art facility in Wayne NJ. It is 14,500 square of professional collision center modeled around all of the most advanced tools available. If you bring your car to Paul Miller for repair, you can rest assured that the only element of the collision center more qualified and top-of-the-line than the equipment is the staff. Our technicians are certified and hand picked to give you the best experience possible. What most folks don’t know is that we repair more than just the “Paul Miller Brands.” We’re in the business to service all of our customers. That’s why we can take on any project on any brand and model. Whether you’re driving a Ford or a Chevrolet, a Porsche or a Land Rover, Paul Miller Collision Center is ready to help you get your car back in shape.